ONLY 18% OF trainee doctors in Ireland have said they will definitely stay in the country to practice medicine. Responding to a new RSCI survey, over 80% of trainee doctors have said working conditions, training opportunities and work-life balance would influence their decision to leave Ireland. Almost one-fifth of 523 doctors who responded to the survey had already left Ireland between 2014 and 2016 to practice medicine abroad. More than 22% of trainee doctors still in Ireland said they would definitely or probably leave the country, while 22% were undecided and just 18% were definitely staying. 72% of the doctors, who were studying or had recently completed postgraduate training in Ireland, believed they needed to spend time training abroad to compete for consultant posts in Ireland. However, more than 80% also believed that working conditions and training opportunities were better abroad. “The chronic haemorrhage of doctors from Ireland will continue as long as we undervalue them,” Professor Ruairi Brugha, who led the study, said. “Unless sufficient resources are invested in providing specialist training to doctors after they have graduated medical school, employing them in adequately staffed hospitals with comparable training and working conditions to what is on offer in other countries, we will continue to lose those who are the lifeblood of our health system,” he said. Speaking on RTÉ Radio One’s Drivetime yesterday evening, Brugha said that uncertainty about careers in Ireland is the driving force behind trainee doctors leaving the country. “It’s mainly about working conditions but it’s also about uncertainty about careers in Ireland,” he said. You can do six to 10 years postgraduate training and you would be unsure whether at the end of it you’re going to actually get a post for which you have trained. Ireland now produces sufficient medical graduates to meet its needs, however, the inability to retain the country’s own doctors means that we will have to recruit internationally, according to a report published earlier this year by the RCSI’s Health Workforce Research Group. In 2015, two-thirds of those taking up a medical registration in Ireland for the first time had graduated outside Ireland, with a doubling of the numbers coming from outside the EU. Along with the latest survey, Brugha and his team conducted in-depth interviews with 50 doctors. He said that the doctors discussed the stresses they experienced in having to make important decisions about patients, while not having sufficient access to consultants. “They also talked of the lack of structured training, where the demands of delivering a service to patients in understaffed hospitals crowded out their training needs,” Brugha said. Taken together, the survey and the interviews show that insufficient frontline staff in our hospitals… was impacting on these doctors’ need for supervised training. 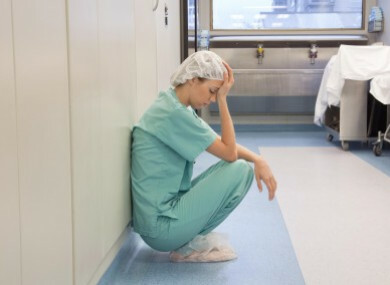 Email “'A chronic haemorrhage': Just one in five trainee doctors plan to definitely stay in Ireland to work ”. Feedback on “'A chronic haemorrhage': Just one in five trainee doctors plan to definitely stay in Ireland to work ”.